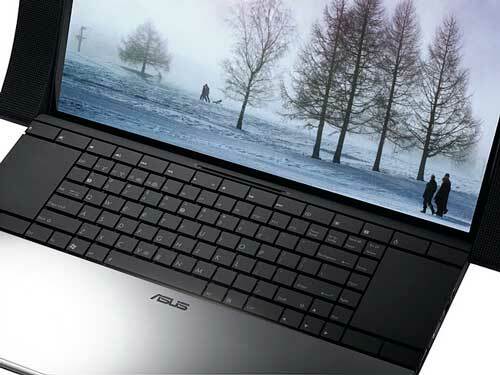 ASUS have gone out on a design limb with the NX90 multimedia notebook computer. 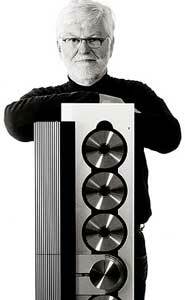 Firstly, they grabbed a top-notch designer, the renowned David Lewis, famous for his work with Bang & Olufsen. “Our aim was a piece of design and art that people could place in the centre of their home and take great joy in its appearance. To me, it’s not just a machine, the objective was to create a style to challenge the way people regard notebooks”, said David Lewis when speaking of the ASUS NX90. And looking at the pictures accompanying this story, I think you could say he’s been successful – ASUS and Lewis have produced a very nice looking piece of tech. 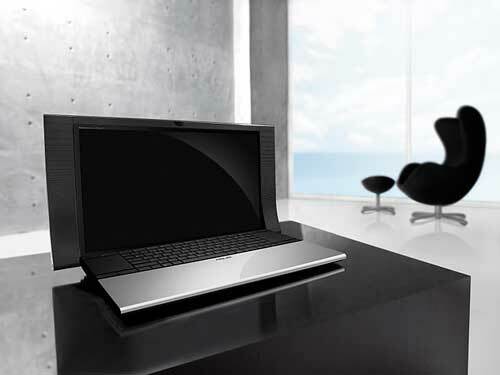 The polished aluminium and extended palm rest area is reminiscent of the Apple Mac, though with less rounded-edge lines, not to mention point of design difference that is the speakers running down the sides of the screen. The sound doesn’t rest only on the bigger speaker. ASUS also use a sound technology called SonicMaster. Actually, it’s less a technology than it is an overall sonic tuning, a sound standard. Components are chosen and placed, delivering clear sound, be it voice on VoIP, music or a video soundtrack, even a low sound levels. This approach to sound has been developed in concert with ICEPower, a Bang & Olufsen subsidiary. On top of the quality approach to sound the NX90 sports some high-end tech. It runs on the 64-bit version of Windows 7 operating system, has 1TB of storage on 2 x 500GB hard drives, an Intel Core i7 processor, and a Blu-ray combo drive. The NX90 has not one, but two trackpads. The thinking here is to enable more gesture-based control of working with images, music and video, plus easy navigation of web pages and documents. ASUS’ Rotation Desktop interface combines with the twin trackpads, helping you use the touchpads in a DJ-like fashion. And a computer that the designer describes as a “small transportable cinema” needs a quality screen. 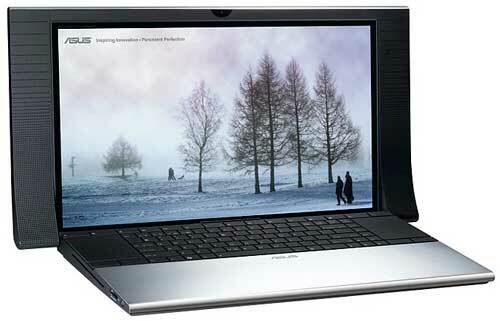 The NX90 has an 18.4 inch, full high definition, LED backlit display. Following below are two video interviews, in which the ASUS NX90 designer David Lewis discusses his design. In the first, David speaks of the need to make the computer sound match the quality of the picture, and that the NX90 is a “small transportable cinema, if you like”. In part 2, Lewis talks about his meeting with ASUS to talk about the project, and of the direct connection to his Bang & Olufsen association, using one of its subsidiaries ICEPower to help with the sonic aspects of the NX90. The ASUS NX90 multimedia computer is a top end, very well-specced machine, and so it carries a premium price – $2,999. It is down for a July landing in stores.